The 2016 Met Gala, which occurred just last week, showcased the world’s most beloved celebrities walking the red carpet in their custom-made frocks, each competing for “best dressed”. The three women that made perhaps the biggest statement that night were Emma Watson, Margot Robbie and Lupita Nyong’o. All three wore custom Calvin Klein Collection, and the best part? Each outfit was made 100% sustainably and ethically. Emma Watson’s pantsuit was even made from recycled plastic bottles and other repurposed materials. Sustainable fashion and fashion trends are still often perceived by the public as mutually exclusive, although companies like Eco Age Ltd. are trying to change those perceptions. Eco Age Ltd. is a brand consultancy that works with fashion businesses to help them grow in an ethical, sustainable way. They also worked with Calvin Klein Collection to create the sustainable masterpieces worn at the 2016 Met Gala, mentioned previously. According to Esther Freeman, sustainable fashion expert and entrepreneur, seeing famous faces dressed in sustainable clothing would cause a dramatic shift in the industry. Lauren Conrad is co-founder of The Little Market, an online fair trade marketplace that sells handmade goods from artisans in countries such as Bolivia, Peru, Nepal and Guatemala. 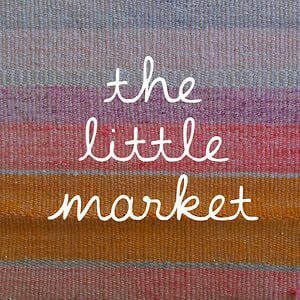 The Little Market empowers artisans to sustain their own business practices and preserve the traditional skills passed down through previous generations. The online marketplace also enables these artisans to showcase their work to a much wider audience, which brings attention to the surrounding issues. Stella McCartney is perhaps one of the most famous eco-friendly designers in the world. Her fashion house uses only sustainable and environmentally friendly practices, such as the use of organic fabrics and the use of renewable energy to keep the stores running. Stella McCartney also joins together with other organizations that promote ethical business practices. Gwyneth Paltrow, owner of lifestyle publication and organic skincare company Goop, has partnered with fashion company Amour Vert to create a line of eco-friendly shirts. The shirts are made from organic fabrics and are silk dyed and printed using low impact dyes. For every shirt sold, the company plants one tree in the Tahoe National Forest, located in California. Gwyneth has also partnered up with Stella McCartney in the past to produce other eco-friendly fashion lines. Feeling inspired? Here at Tribe of Lambs we hope to bring attention to the long-lasting negative impacts of fast fashion while promoting an ethical, sustainable lifestyle. We hope that you join us in the fashion revolution!